There are sad tidings in Ireland this week with the news that Professor Alex Montwill, Ireland’s best-known particle physicist, has died. Alex was an outstanding physicist in the field of experimental particle physics and the best teacher I ever had, inspiring generations of physics students with his legendary undergraduate lectures on the physics of the elementary particles and the puzzles of the quantum world. If I can pass on even a morsel of his great knowledge to my own students, my career will have been worthwhile. Professor Emeritus of Experimental Physics at UCD, Alex Montwill was one of the first Irish scientists to work at CERN in the late 1950’s. From about that time onwards he was head of the Fundamental Particle research group at UCD which later became members of the European Nuclear Emulsion Collaboration. 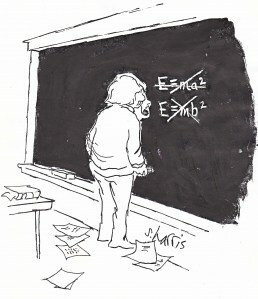 The collaboration carried out extensive studies in hypernuclear physics and subsequently made the first observation of the creation and decay of a particle containing a charmed quark. 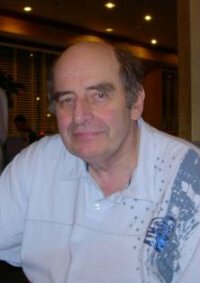 Apart from over 40 years’ teaching at UCD, Alex lectured at City College New York and at the University of Minnesota, Minneapolis. He presented some 150 Science slots on RTE1 radio in 1980’s and 1990’s. 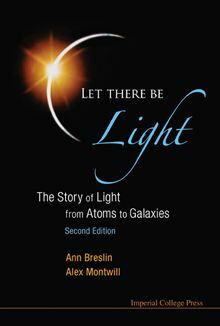 He is co-author with Ann Breslin of the book entitled ‘Let there be light’ which was published in 2008 by Imperial College Press. Alex’s hobbies were bridge and chess in both of which he represented Ireland in international competition. 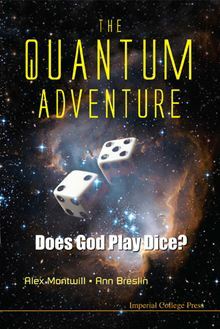 I would like to add: Alex and Ann published a second book ‘ The quantum adventure’ just this year. It’s a fantastic read for anyone with an interest in quantum physics. Also, Alex chose the title ‘The laboratory of the mind‘ for his radio show, a title that gives you a feel for his deep interest in the philosophy of physics, an interest he passed on to generations of students. On a personal note, he knew my father well as a physicist and must have got a shock when I came along and was a very ordinary student! Yet both Alex and Ann were extremely supportive of my work in communicating the ideas of physics from the beginning. As well as the countless students he inspired to take up physics as a career, Alex’s legacy can also be seen in today’s thriving particle physics group at UCD. This group, led by Professor Ronan Mc Nulty, is heavily involved in experiments at the LHCb detector at the Large Hadron Collider; these experiments probe the asymmetry between matter and antimatter, a puzzle of fundamental importance in particle physics. sir, can i use 50mA & 25mA LED’s mixed in these circuit? is there will take place any difficulties?